& James F. Mulick, D.D.S. Dr. Kati Asgarifar is a specialist in orthodontics and dentofacial orthopedics. She attended Pepperdine University for undergraduate studies where she received Bachelor of Science in Biology. She was awarded numerous awards including, National Golden Key Honor Society, the Dean’s List, and she graduated with honors. Dr. Asgarifar attended University of Southern California (USC) dental school where she graduated in the top of her class and was consistently on the Dean’s List. She was elected into the Omicron Kappa Upsilon National Dental Honor Society for her academic and clinical achievements. She received the Behavioral Dentistry Award for outstanding patient care and management. She continued her training at USC’s Orthodontic Residency Program where she received her Certificate in Orthodontics and Masters in Craniofacial Biology. During her residency, she was extensively involved in orthodontic research. Her master thesis about radiographic diagnosis of root resorption has been published in many orthodontic journals. 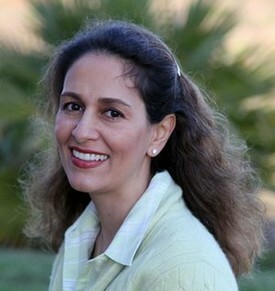 Dr. Asgarifar is fluent in German, Farsi and Spanish. Dr. Asgarifar is an active member of orthodontic and dental societies. She has a passion for working with patients of all ages. She enjoys working with the patients and orthodontic team to give the patients the smile they deserve. In her spare time, Dr. Asgarifar enjoys spending time with her family, travelling, cooking, and reading. James (Jim) Fisk Mulick, D.D.S., M.S, went to be with the Lord on December 23, 2018. Jim was preceded in death by the love of his life, Joyce MacQueen Mulick. At the time of his death, Jim was surrounded by the love of his family. Jim was born in Long Beach, California to Robert Mulick Sr. and Dallas Mulick on September 20, 1928. Like so many young men of his generation, Jim joined the United States Navy after High School. He served on the SS/AGSS-395 Redfish submarine as an ET3. Jim then went on to obtain his undergraduate degree at what would become the University of California, Santa Barbara. He met Joyce MacQueen, and they married after Jim graduated from college. Jim and Joyce moved to the Bay Area where Jim attended the University of the Pacific, graduating with a degree in Dentistry (D.D.S.) They then returned to Southern California, and Jim started a general dentistry practice in Woodland Hills. Orthodontics was a calling for Jim, he was accepted for the Orthodontic program at the University of Washington, and moved his wife and 3 young children to Seattle Washington. While in the Orthodontic program at the University of Washington, Jim developed a passion for being a part of the care of children and adults with a Cleft Lip and/or Palate. Jim would carry that passion forward to his career as an Orthodontist. Upon the completion of his orthodontic program, Jim and Joyce moved their young family to the San Fernando Valley in California. Jim’s professional life flourished, in addition to his busy Orthodontic practice, Jim pursued multiple avenues to provide care for individuals with a craniofacial difference. He joined the Cleft Palate Center at Saint John’s Hospital (Santa Monica) and later, the UCLA Craniofacial Team. Additionally, he consulted for Cleft Palate Teams at; Kaiser Permanente, Rancho Los Amigos, and White Memorial. Jim held an academic appointment at the UCLA School of Dentistry, Orthodontic program, teaching Orthodontic residents about the care of individuals with a Craniofacial difference. Jim also held a variety of positions in local, state and national Orthodontic and Dental organizations. In addition to his professional life, Jim gave back to his local community. He was active in the Boy Scouts of America. As an Eagle Scout, he realized the importance of this organization for the development of character in young men. Jim became a mentor for his sons who both achieved the status of Eagle Scout, as well as a mentor for two of his grandsons who also achieved the status of Eagle Scout. He led a local Boy Scout Troop, and continued as a merit badge counselor for many years. Sunday mornings, Jim could be found at Westminster Presbyterian Church in Westlake Village, California where he was a part of the Usher Team. He and Joyce also led a Bible study that celebrated its 50th year of continuous meeting in 2018. They were active participants in the “shelter” program which provided a place for homeless individuals to spend the night during the winter. Jim was a huge UCLA fan with season tickets to football and basketball games. Saturdays during the Fall were spent either at football games, or listening/watching these games. And Pauley Pavilion was a second home during basketball season. Jim is survived by his children, their spouses and their families; Ronald, Lorraine, Marcus, Joseph and Erik and great grandson Duke Mulick, Dave, Sharon Gabriel, Hannah and Caleb Mulick and Dianne, Patricio and Parker Altuna. Jim was larger than life. 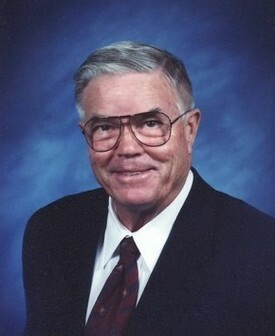 In death he will be remembered for his love of his family, love of his church, and love of his community. We love Dr. Kati. I appreciate that she is always prompt and the appointments are quick. My sons teeth look great and I feel he has been well cared for!! I truly, and sincerely couldn't recommend this orthodontist office further. Both the staff and Kati will ensure your experience is smooth, problem free, and professional. Kati treats her work with integrity and honor, making sure your every need is properly attended to, supplying you with only the finest and most knowledgeable dental care/treatment. Her kindness and fairness makes the experience all the more pleasant. If you're searching for fantastic, affordable orthodontic care, you need not look further. Dr. Kati treated my daughters with excellent results. We loved her work, she is very pleasant and her staff is amazing. My daughter's teeth turned out really nice and thanks to Dr. Kati both of my daughters have beautiful smiles. I would recommend my friends and family to Dr. Kati. Thank you Dr. Kati for everything you have done for my girls. About a year ago my teeth were quite crooked. Now, all the gaps are closed. This year-long experience with Dr. Asgarifar and her staff was easy, comfortable and fun. She is very kind and honestly has more than satisfied my expectations. Dr. Asgarifar answered all my questions while respecting my obsessive tendency to ask many. She was the third doctor I saw before deciding to continue with a plan. - I highly recommend Dr. Kati Asgarifar.